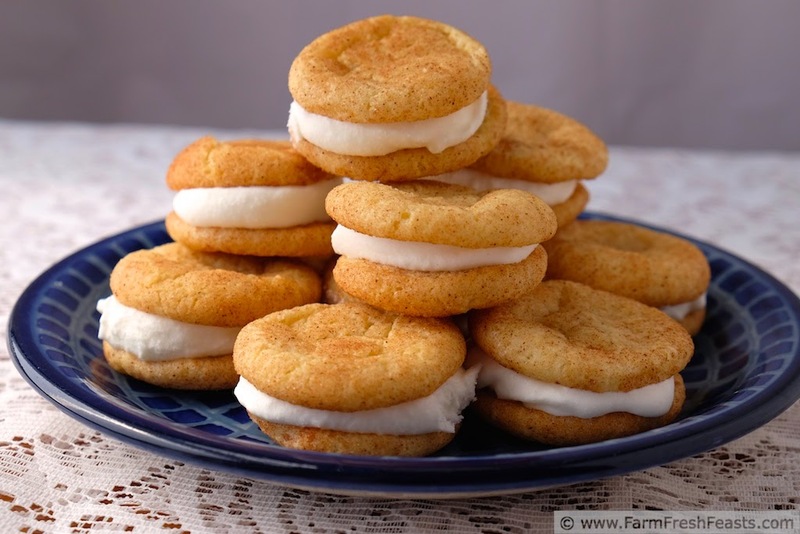 Farm Fresh Feasts: #IceCreamWeek is Coming! That photo is not a pizza. Nor is it anything involving vegetables. Instead, this is a warning to you. I'd like to announce a radical departure from my usual routine and suggest you consider digging out the stretchy pants. Instead of my typical posting schedule--sharing a vegetable- or fruit-inspired recipe on Mondays, Wednesdays, and Fridays, I will be sharing 6 recipes [all involving ice cream] over the next week. You could say I've been churning (or no churning--puns totally intended) quite a lot lately. You know we eat more than just the goodies from the Community Supported Agriculture (CSA) farm share, right? Even though we are walking distance from Graeter's ice cream, I occasionally make ice cream treats at home. 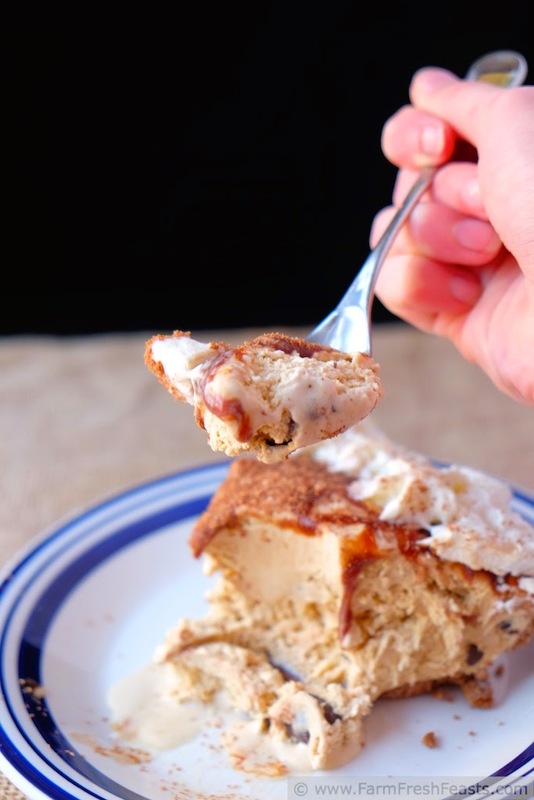 In fact, I've wanted to share How to Make an Ice Cream Pie on this blog practically from the start. 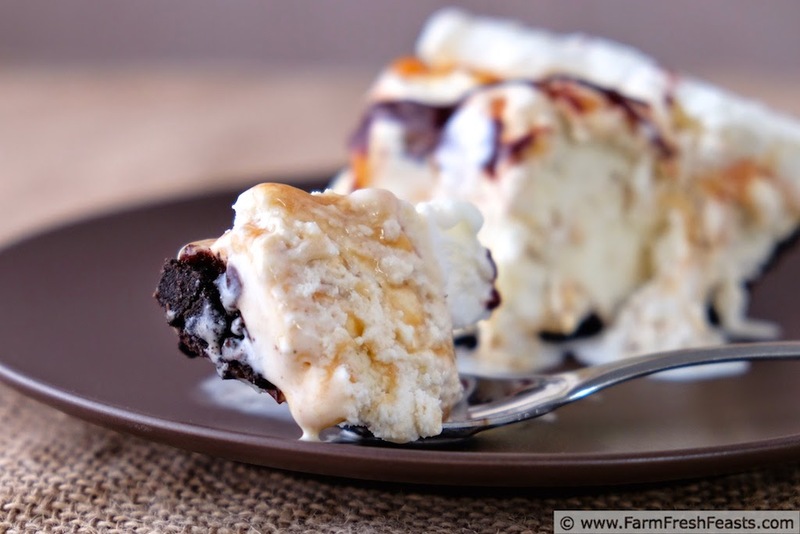 With my blog's focus--on how to make the most of the produce from your farm share, garden, or farmer's market--I didn't really see how I could include an ice cream pie. When Kim announced that she and Susan were hosting HashtagIceCreamWeek I knew I had my opportunity. I had a blast participating in HashtagAppetizerWeek, so why not join in the fun? I'm not completely chucking my local produce focus out the window this week--in fact 3 of the 6 recipes I'll be posting use a fruit or vegetable. The others? 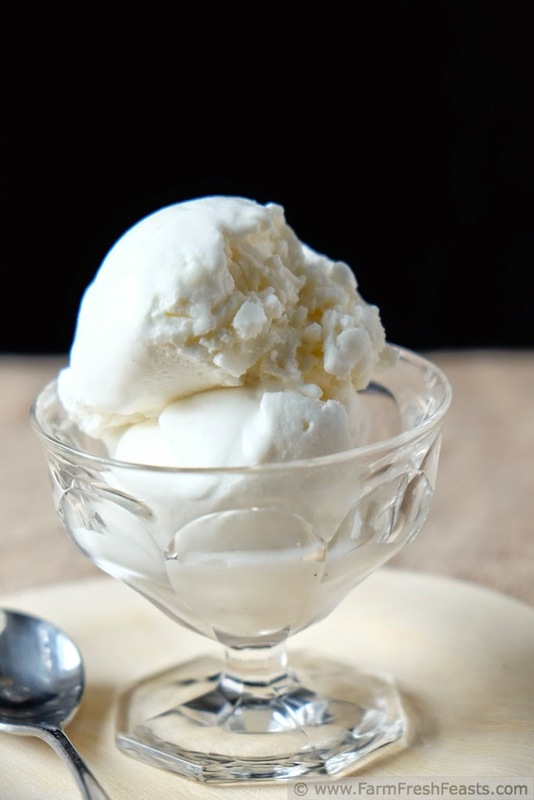 Well, it's Ice Cream Week and I believe in going big with the flavor--and fat carries flavor, as does chocolate [I'm just guessing here, roll with me]. Six different recipes is a lot of ice cream to crank out [the puns, they keep coming], so it's a good thing that I am training to walk a half marathon next month and shared some of these recipes with my son's marching band and the gals at work. It's hard to share ice cream and take photos, though, so the pies . . . well . . . I had to keep making them to get a decent photo of a slice. I had to. Really. On Monday I'll share How to Make an Ice Cream Pie at Home. This concept recipe is one I use often, with whatever flavors we're craving at the moment (Chocolate Mint/Grasshopper Pie, Caramel Fudge Pie, and Sea Salt Caramel Pie are big favorites). 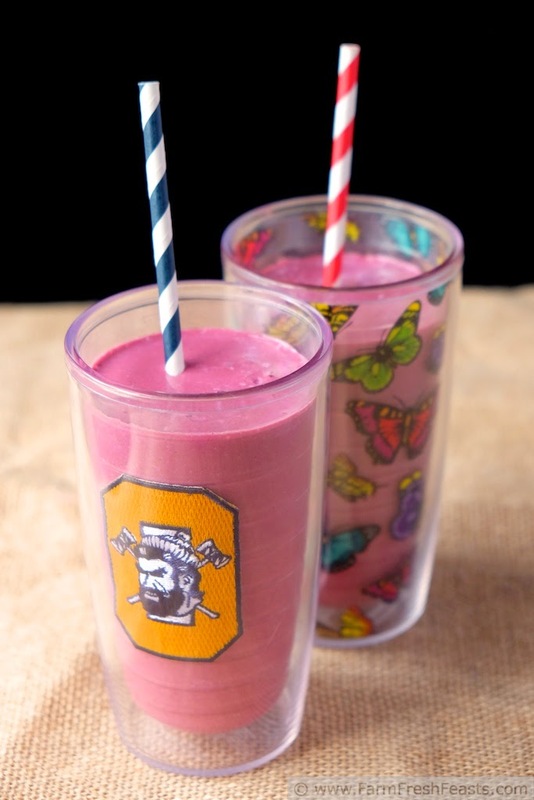 On Tuesday I'll nod to the vegetable focus of this blog with a Chocolate Beet Milkshake. 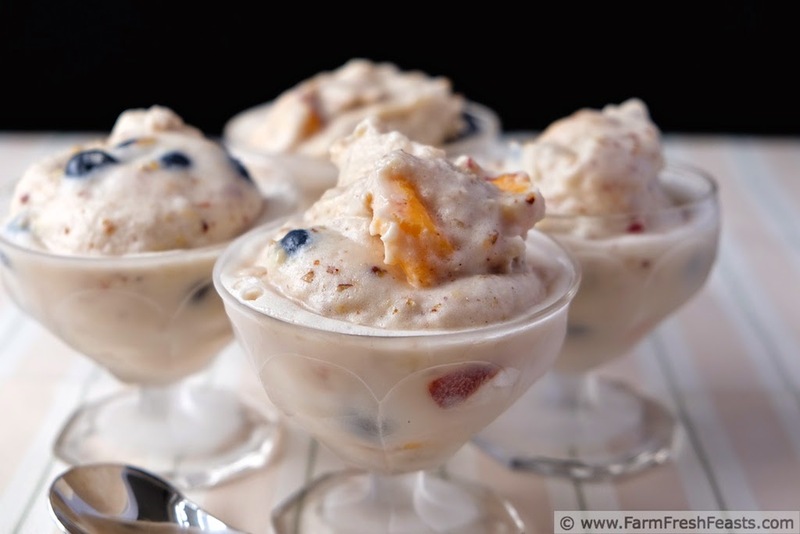 I'm sharing a lazy way to use up leftover fruit salad in Lazy Leftover Fruit Salad Ice Cream on Wednesday. Thursday we're getting spicy with Cinnamon Chunk Ice Cream, and on Friday we're turning that ice cream into Snickerdoodle Ice Cream Sandwiches. 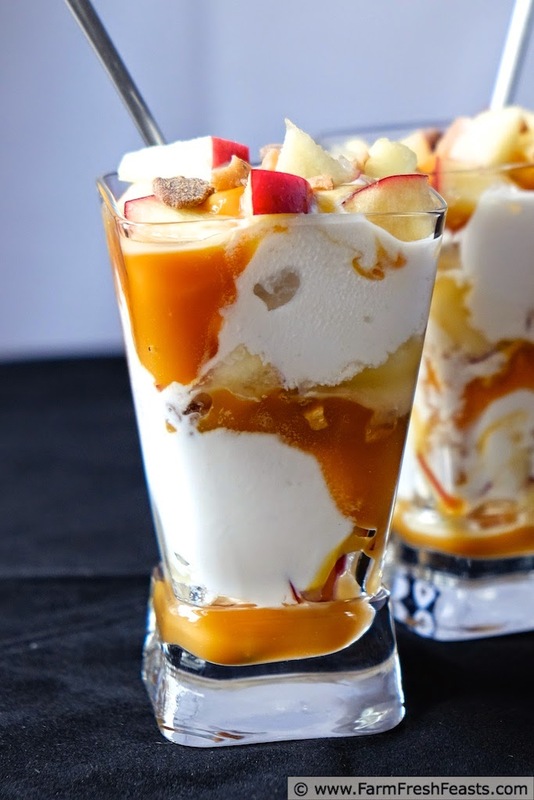 We'll round out the #IceCreamWeek recipes with Caramel Toffee Apple Parfaits on Saturday. In addition to a whole host of bloggers churning out ice cream recipes each day, we've got giveaways, too! Stop in and check it out. I'll return to my regular posting schedule [after a good training walk and a nice long nap] on Monday August 25th with Eggplant Walnut Dip. This is not ice cream. These are vegetables. Oh em gee, I am so excited for ice cream week. This is going to be so much fun. Every single thing you made looks amazing. I feel like such a slacker with how organized you are. I am so thrilled you join us for these crazy events. It's such a treat to have people who love this stuff as much as I do. And kudos, I know how hard it is to post every day for these things so hats off to you for going the extra ice cream mile. I'm off to churn...then join a gym. Thank you so much for including me in your events. I appreciate the efforts you put in behind the scenes to make it all happen. Kirsten, this is the most exciting news I've gotten all day! Everything sounds delicious, but now I'm really looking forward to the caramel toffee apple parfaits. I can't wait! I'm even more glad to be the bearer of exciting news than the bearer of beet recipes! Salivating. You know how much I love my veggies. 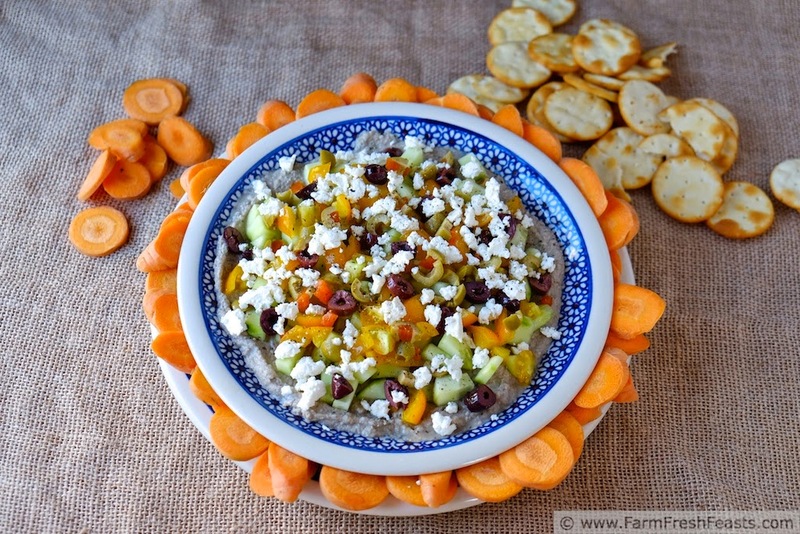 Hell, I even had a spin off of your Fattoush Dip tonight complete with Costco Pita crackers. I love those things. Anyway, I am beyond thrilled with the departure from veggies next week and stoked to see all the ice cream madness. I may even go for a run this weekend in anticipation of all the extra calories I'll need to burn off. Then again, I might just eat the ice cream, calories be damned. I was in Costco yesterday for lunch um I mean to buy things not to just eat samples and told the guy demoing hummus and the thick chunky pita chips that he should use the thinner pita rounds.